Michael Gruenbaum, with Todd Hasak-Lowy, New York; Aladdin, pb, 978 1 4424 8487 0, £7.00, 2017, 384pp. Rarely is a childhood memoir so powerful that it stays with you forever afterwards. Somewhere there is still a sun is such a book. This is Michael Gruenbaum (Misha)’s own story, recalling the events eighty years ago, when he was a nine-year-old Jewish boy living with his family in Prague and Nazi troops invaded Czechoslovakia, his country. These events led, three years later, to his father’s death and for him, together with his mother and sister, to incarceration in Terezín, the Nazi ‘model Jewish settlement’ (in reality a transit camp/ghetto housing Jews preparatory to transportation to Auschwitz-Birkenau). Here he was separated from his remaining family, and spent the next three years in Room 7, a dormitory of forty teenage boys. Αmong whom is Franta, who has realized that they will all mentally survive the conditions better if their lives are organized around lessons, keeping their room clean and tidy, and ensuring their football team is the best in the camp. Although Misha sees his mother and sister regularly, it is the Nešarim – the Eagles – of Room 7 who dominate his narrative, and whose influence will be lifelong. Starting in Prague on March 11th 1939, and finishing, again in Prague, on December 17th 1945, Misha’s story unfolds through 300+ pages of present-tense day-long narratives which immerse the reader in the everyday life before and during the Gruenbaum’s incarceration. Contrary to the Nazi propaganda, this town, with its former military barracks, housed 5,000 inhabitants before the war, but now 55,000 Jews were crammed into its increasingly decrepit, unheated, verminous, disease-ridden spaces. When a Red Cross inspection was ordered by the Allies, thousands were transported to Birkenau in order to make it appear that all the remaining inhabitants were happy and healthy, with the buildings cleaned and repaired, gardens planted, and shops filled with food. This and other ruses worked, and it wasn’t until Terezín was liberated by Soviet troops that the truth began to emerge. 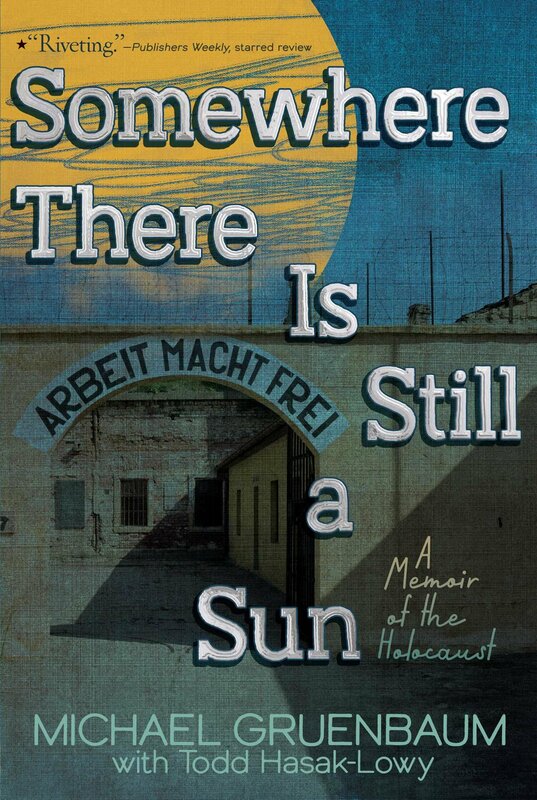 I didn’t want this book to read like a story about the Holocaust, I wanted it to read like a person living through those events at that time. His writing creates an immediacy which places the reader beside Misha as things happen, from the nine-year old’s counting game whenever he crosses the Cechuv Bridge in Prague, through taking part in Brundibar (the children’s opera performed by the prisoners in Terezín), to his liberation as a fifteen-year old. Until he left Terezín Misha was unaware of the fate of those transported onwards to Birkenau. Because Hasak-Lowy so carefully maintains this ‘innocence’, he sustains great immediacy of action, in which the reader feels totally and personally involved. This device should successfully engage younger readers than is often possible with many Holocaust stories. Complete with a selected bibliography, and illustrated with many family photos, images from Misha’s Nešarim Memory Book, and his mother’s secret Terezín scrapbook, this is a truly unmissable book.